3DRetro will be releasing one of the coolest exclusives of Designer Con 2017, the Jade Edition The Clairvoyant Dunny 8” vinyl figure (with a matching 3” Crystal Ball Dunny) by J*RYU and Kidrobot. This Designer Con exclusive may look like resin, but it really is a vinyl figure. 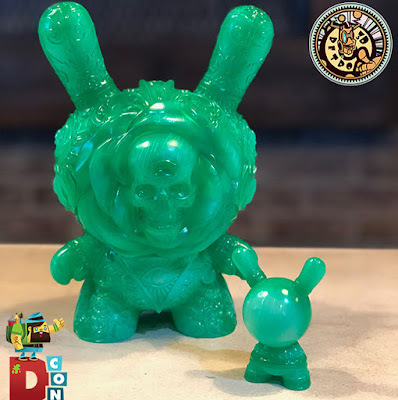 The Blot doesn’t know how Kidrobot did it, but man does this colorway look like real jade! This special edition is limited to 100 pieces and will retail for $100 at 3DRetro’s DCon booth #532. Plus, J*RYU will be signing at their booth on Saturday from 11am to noon.